A full moon will appear tonight, Friday the 13th. For the first time in nearly a century, there will be a full moon rising tonight, Friday the 13th. And for some, superstitions of these two phenomena are very real. The last time it happened was on October13, 2000, and it won’t occur again until August 13, 2049. If you’re a selenophobic— people who fear the moon— or suffer from friggatriskaidekaphobia—fear of Friday the 13th— you may not want to leave the house today. 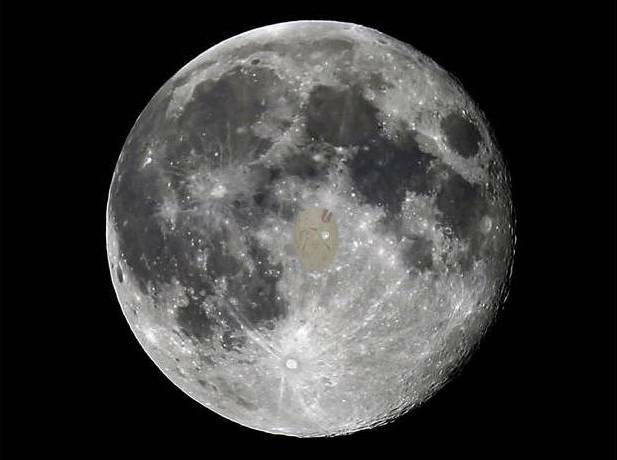 National Weather Service meteorologist Brian Tilley said there was a pretty good chance skygazers will be able to catch a glimpse of the full moon, if skies stayed clear and they were willing to stay up past midnight. Even though fear of Friday the 13th goes all the way back to medieval times the date is best known from the 1980 film, ‘FRIDAY THE 13TH.’ Jason – the main character featured in the sequel – was originally named Josh. However, the writer did not feel the name was “mean enough” to live up to the title so he decided to name him after a school bully whose name just happened to be Jason. In the U.S. there are millions and millions of people who just want to stay home and not take any chances on either one of these – Friday the 13th or a full moon – and here they are both together.